The greatest enemies to equipment are friction and heat. 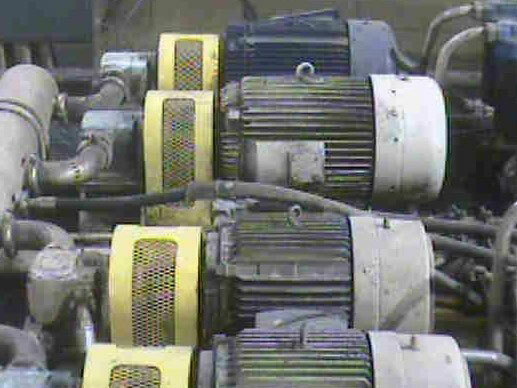 Those two factors combine to cause the majority of equipment failures in any industry. 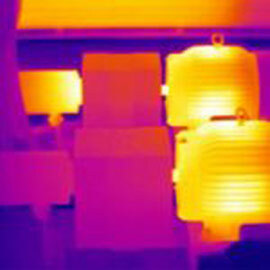 With regular infrared inspections, dangerous heat buildup can be identified, saving your equipment, time, and money. Rotating equipment, pulleys and drive belts, high bearing and oil temperatures, HVAC components, boiler, and chiller units, to name a few, all can be inspected quickly without inconveniencing your facility’s business. Detection of failing bearings on large or difficult to reach locations not readily covered by vibration analysis. Building envelope studies for heat loss, cold air infiltration and moisture migration including wet insulation and the presence of mold. The photo on the left shows some very important vacuum fan as most people see them. The image on the right is how we see them and one of the bearing is excessively hot (175°F). Without this vacuum system running the process is not able to run and no production of product occurs. Thermal imaging can keep you plant running by finding unexpected failures before they find you. 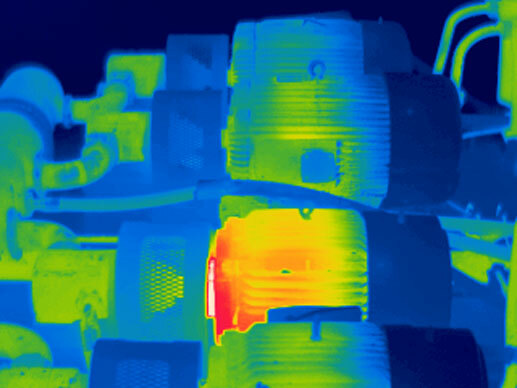 By using thermal imaging downtime can be avoided and repairs can be made in a timely manner. Loss of production is avoided and emergency repairs are minimized for you and your staff. The owner of the firm has over 30 years experience working full time with infrared, has taught infrared to other thermographers and certifies other thermographers. We can help you with imaging needs. © Copyright 2014-18. Thermal Techniques. All rights reserved.